This 2003 summer hit featured Jim Carrey as a news reporter so jealous over his rival's (Steve Carell) good fortune that he demands that God (Morgan Freeman) pay more attention to him, while paying too little attention to his girlfriend (Jennifer Aniston). Were you paying attention? 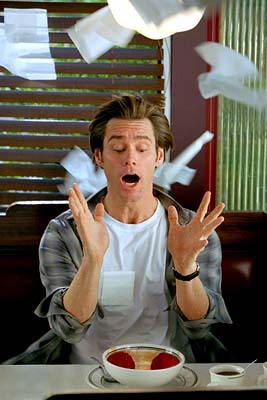 How Well Do You Know Bruce Almighty?